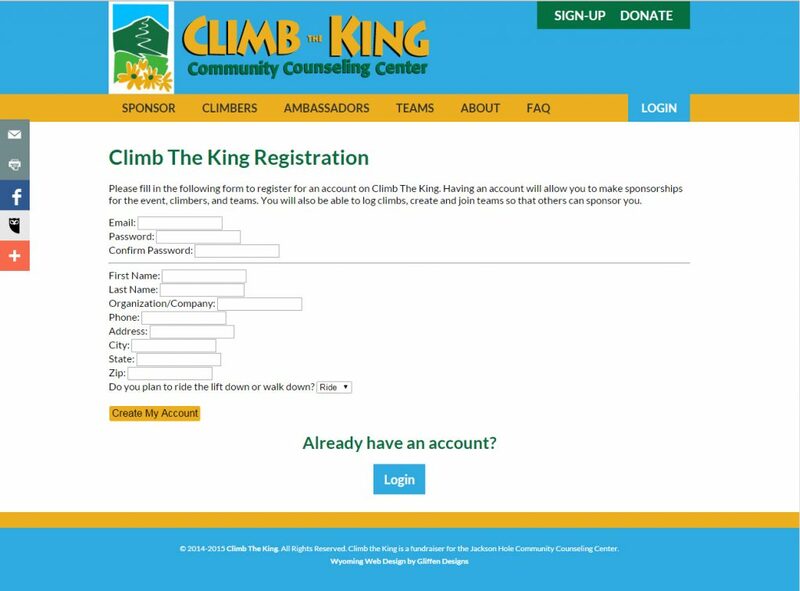 Climb the King is a fundraising event for the non-profit organization, Jackson Hole Community Counseling Center. 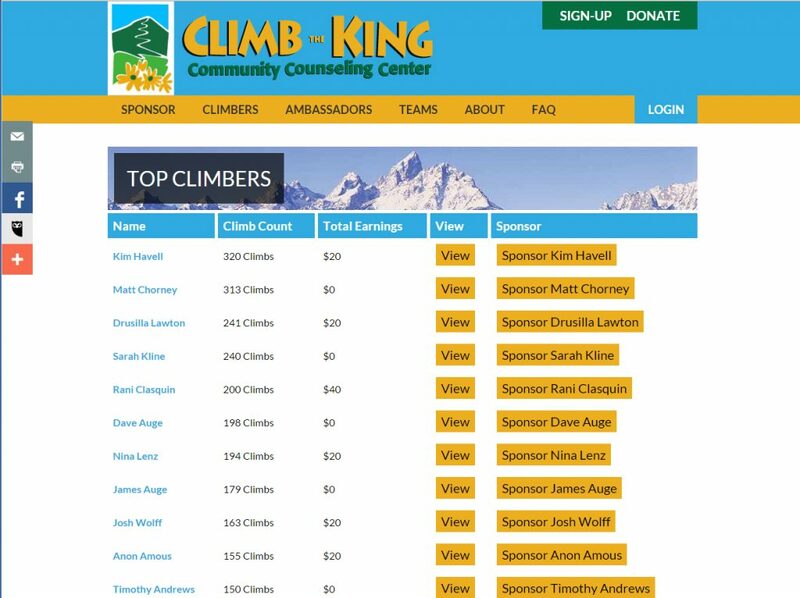 This custom designed system allows for users to register, log climbs, create and join teams and pledge their sponsorship. 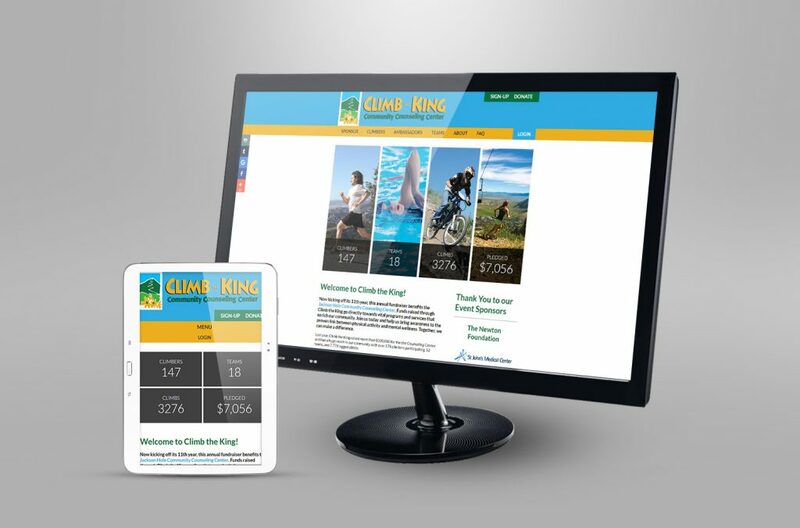 The system also collects payments from sponsors and tracks every detail about the event.